Studio Visit subject Moore Ruble Yudell is the legacy firm of architectural master Charles Moore, who founded the company more than thirty years ago with John Ruble and Buzz Yudell. 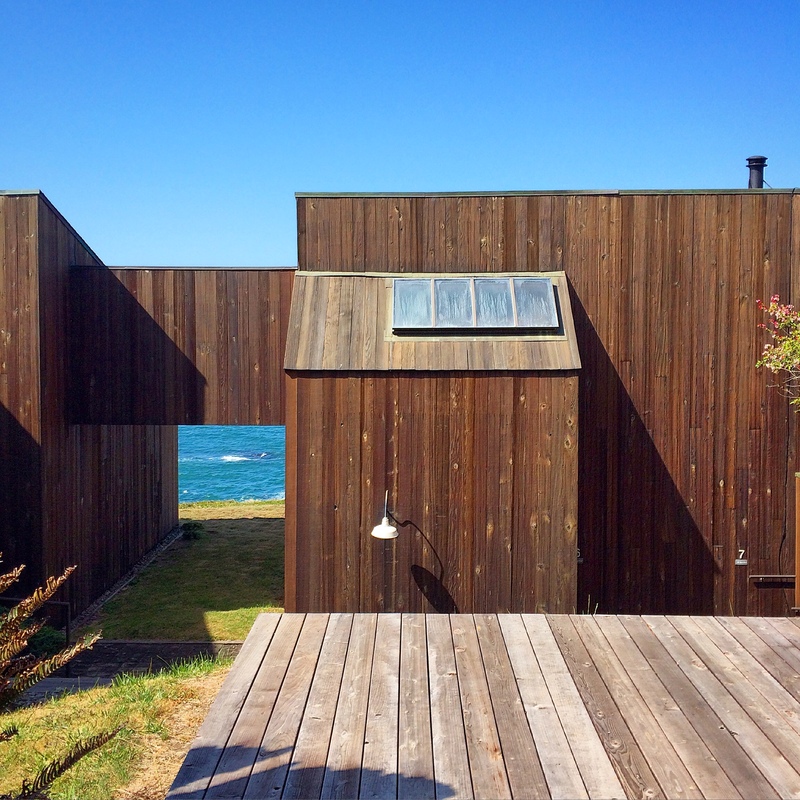 Many of Moore’s architectural priorities are encapsulated in a unique community of oceanside homes he helped design, Sea Ranch, which just celebrated its fifty year anniversary. Celebrations of Sea Ranch’s birthday wind down over Memorial Day with a concert by the Kronos Quartet. 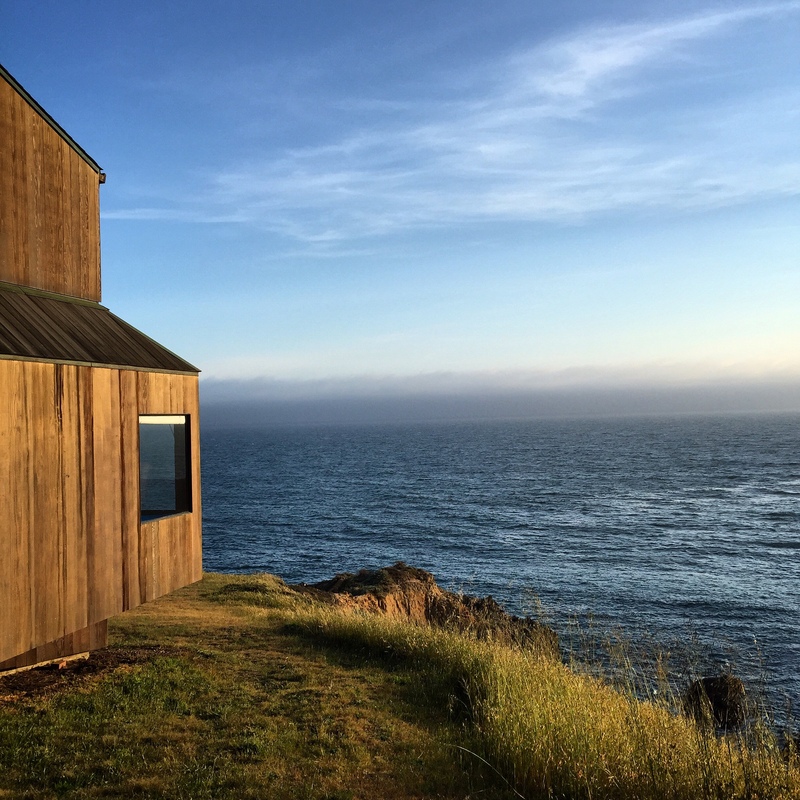 Last fall AN contributor Kenneth Caldwell attended The Once and Future Sea Ranch, a one-day symposium on the community’s history and future. Below are his notes. When you hit middle age, it’s time for another checkup, and if you are a group of affluent nature-loving Northern Californian neighbors, perhaps a check-in. 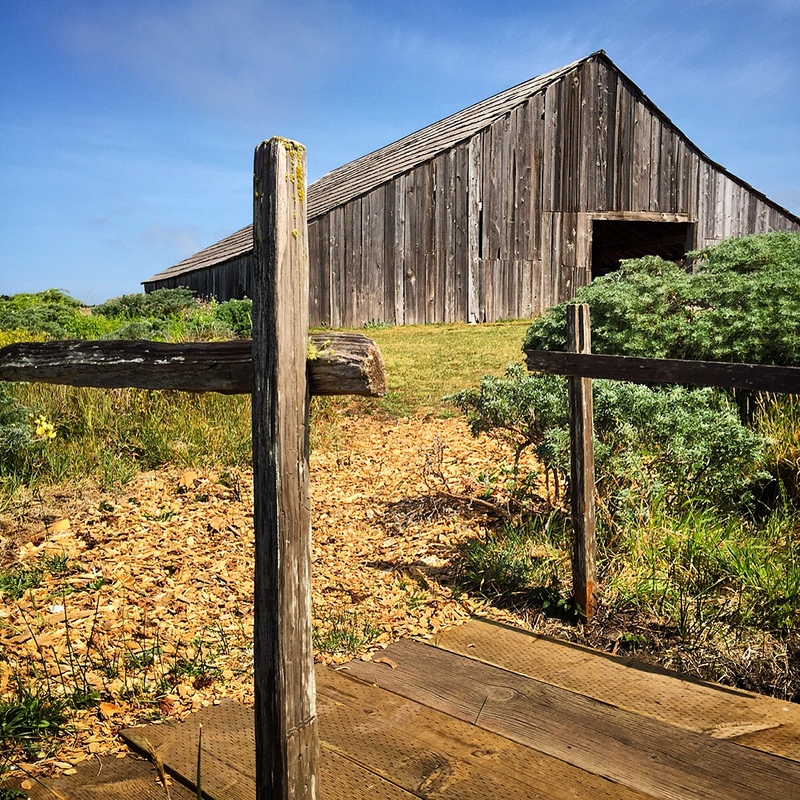 Residents of Sea Ranch, a second home community stretched out along 10 miles of the Sonoma coast north of San Francisco, have been holding a number of events to celebrate its 50th birthday. On October 18, there was a day-long symposium to look at how history might influence the future. 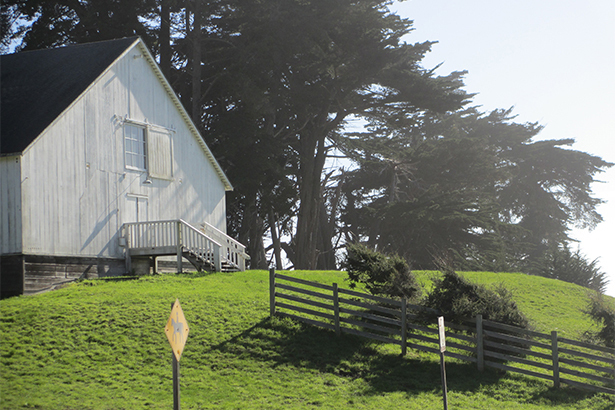 The goal of this confab was to generate new ideas about the next 50 years of Sea Ranch’s existence. Led by former UC Berkeley Art Museum curator Jacquelynn Baas and original Sea Ranch architect and retired UC Berkeley professor Donlyn Lyndon, the presentations ranged over several topics but eventually seemed to coalesce around a few key ones. 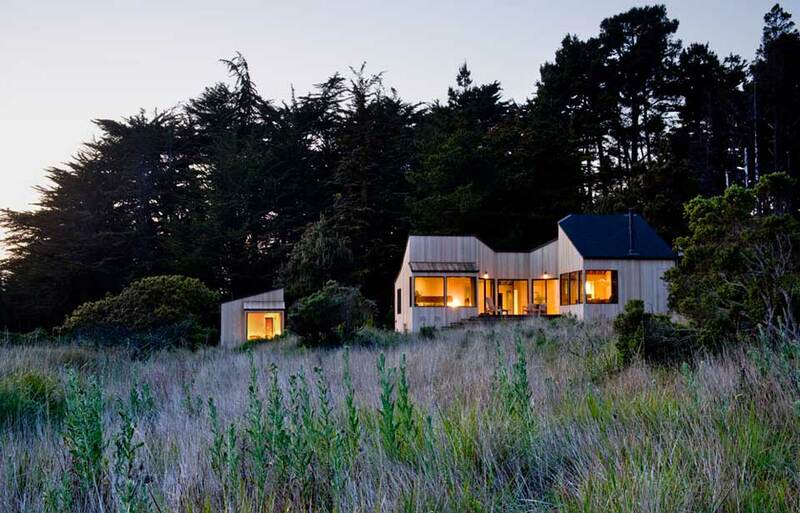 Lyndon, who has served on the Sea Ranch design committee, now chairs the landscape committee, and has designed several homes since the community’s founding. What he understands better than most is that what matters at Sea Ranch is not so much the widely published architecture, but the landscape. The point of the intense design review process was to try and prevent design from interfering too much with the place. This has been a central attraction and source of conflict for 50 years. Lyndon presented an overview of the community and its development. One of Lyndon’s main points is that much of the mature landscape that you experience there was planted when Sea Ranch was first developed. Now it has to be managed prudently to cut down on invasive species, protect views, and most importantly, prevent fires. 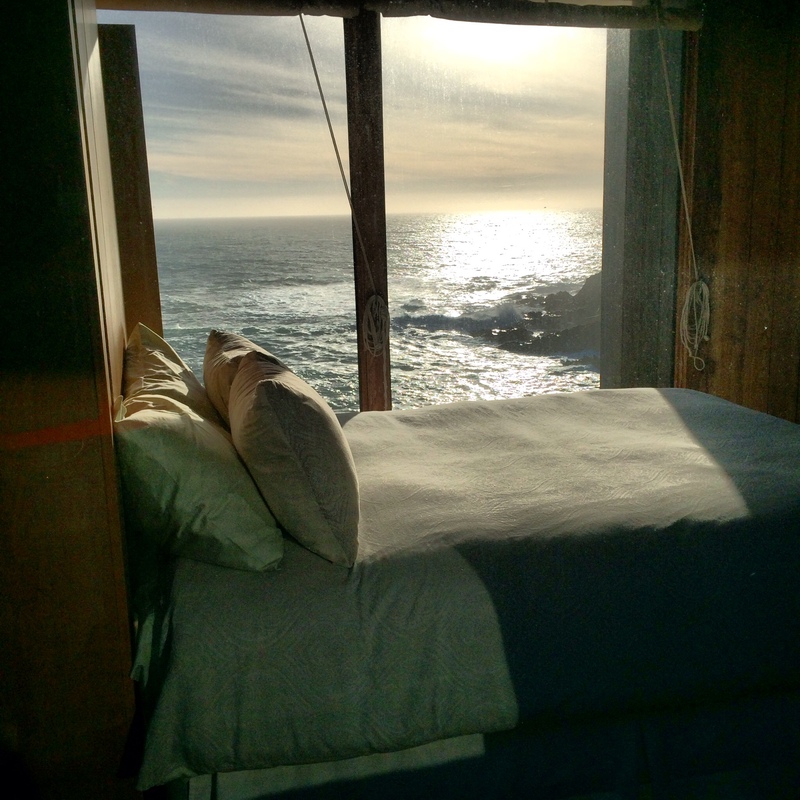 This reinforces a basic idea: other than the ocean, man made Sea Ranch. Lyndon then turned the floor over to design professionals who are not part of the Sea Ranch scene. As a central steward of this now historic locale, he knew that he needed new voices to generate new ideas. The presentations revealed a core conflict, which goes back to the Sea Ranch’s semi-utopian beginnings. The emerging values of ecology and living in harmony with nature that took root in the early 1960s are not in harmony with the free market. Both Lyndon and UC Berkeley landscape architecture professor Linda Jewell explained the thinking of landscape architect Lawrence Halprin, who brought a romantic notion about a kibbutz-like community where everybody would share the common meadows and build modest cabins up against the beautiful hedgerows. The phrase was “live lightly on the land.” This dreamy if affluent hippiedom was best captured in Architectural Record editor Cathleen McGuigan’s presentation on how the East Coast viewed the development. She featured several rarely seen images of dancer Anna Halprin, wife of the visionary, leading diaphanous dances at the shore. While Lawrence Halprin and his team of scientists went to great lengths to study the ecology and create a self-effacing community, it was still a development idea that would tame nature for man’s pleasure. The environmental movement caught on and, as Lyndon describes in his recently revised book on the topic, eventually threatened the existence of the community. The voters also got ecology fever and passed the Coastal Initiative in 1972, which provided public access to the state’s beaches. 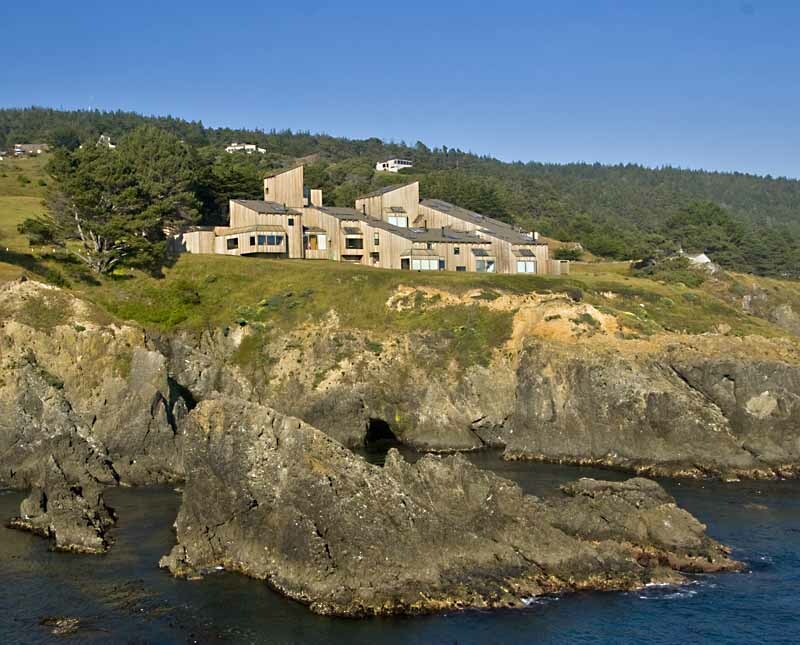 For several years, multiple government agencies were entangled in litigation with Sea Ranch over beach access for members of the public who might want to dance there as well. Sea Ranch wasn’t so communal after all. When the court cases were settled, the original developers, part of Hawaii giant Castle & Cooke, wanted out. The result was that the northern part of the ranch was not developed according to Halprin’s original site-sensitive vision. Some folks say that there are essentially two Sea Ranches: the tasteful, quiet southern part and the suburban golf-playing northern sector. 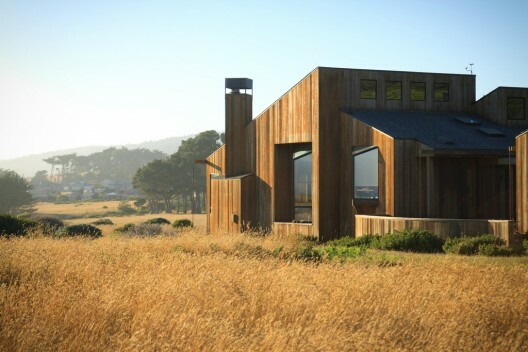 In his presentation and comments, California College of the Arts professor of visual studies Mitchell Schwarzer pointed out that the unbuilt environment at Sea Ranch that we so cherish is an illusion that depended on global and technological advances and was created by excellent design. It didn’t just grow there. He was able to contextualize the place as a resort community that focused on contemplation more than any specific activity. There were other miscalculations besides the popularity of the early environmental movement. The drive from the Bay Area lengthened over the many years since Sea Ranch’s inception, with increased development through Marin County and Santa Rosa. Often the journey takes three long hours filled with curves, and short weekends up the coast are not really viable. There is no way to get there but to drive—or fly, if you have your own small plane. And no way to get around once you do get there except by car. Although there are three recreational complexes and a golf course, there is no informal gathering place in Sea Ranch, no town square. There is a small bakery tucked away on the hill that serves as a de facto hub, but there’s nothing that was planned. If the lodge expands, as has been rumored for several years, that might be an opportunity for creating some kind of intentional hangout space with opportunities for a few retail services. However, given that there is an empty retail building up on the ridge near the airport, is there enough demand to accommodate additional commerce? Schwarzer’s presentation went a long way to explain this lack of a hangout place. For the most part people go there to be alone or in small groups. What is the Nature of Preserving This Nature? As the slides showed, the natural environment is vastly different from what it was 50 years ago. Lyndon mentioned that the hedgerows, which separated different sheep fields, have matured and block more wind, as do the new plantings. As former UC Berkeley College of Environmental Design dean Harrison Fraker (and others) pointed out, Sea Ranch isn’t a sustainable community. Although Halprin’s original vision called for greater density, it is, like so much of California, essentially a single-family car-oriented cul-de-sac community. Several people also talked about the lack of a coherent bike trail system. There were lots of suggestions about landmarking the place, creating a cultural center, and densifying the remaining undeveloped plots. Perhaps the most inventive idea came LA Times architecture critic Chris Hawthorne, who suggested reviving the Case Study House program at Sea Ranch. But it’s pretty clear from the response that the homeowners don’t want significant change. The most reasonable suggestion presented was for studying in depth the demographics (which the census does only once a decade) and studying in depth the plant and animal life, much as Halprin tried to do when he first came to the site in the early 1960s. Noted Southwest architect Will Bruder offered up lots of ideas including one concrete suggestion that seemed to have some resonance: create a summer institute for students. Although Halprin and Esherick were established professionals in the early 1960s, it was the young bucks at Moore Lyndon Turnbull Whitaker (MLTW) that gave the place that odd twist of self-effacing drama at their condo complex, so the idea seems appropriate. The empty retail building near the airport, designed by William Turnbull, could serve as the base for such an annual gathering of the next generation of talent. In an offhand comment, Lyndon said that original developer Al Boeke knew of Ed Barnes’s famous Haystack School in Maine and that its architectural forms and materials were not unknown to the early designers. 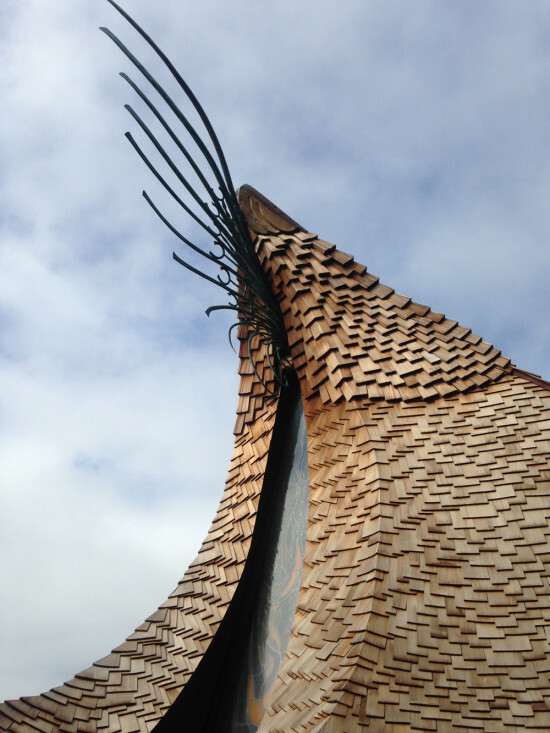 Maybe a kind of Haystack that focused on the ecology of the Northern Sonoma/Mendocino coast would work here? 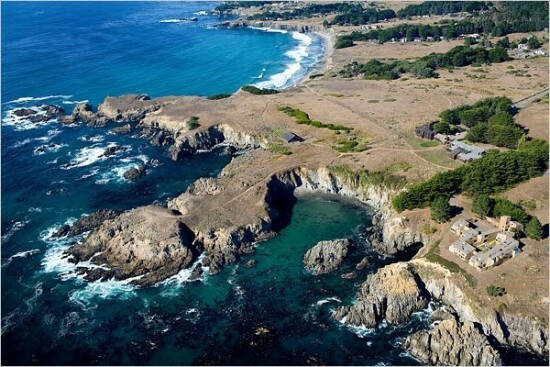 Or planned sustainable communities, or even the creation of a more sustainable community at Sea Ranch? It seems unlikely that a group of entitled design students would be interested in doing research for the benefit of a group of well-to-do nature and design enthusiasts. But if the mandate were slightly larger, such as how to evolve the original place-making and environmental ideals of Halprin, Esherick, and MLTW, that might work. There are challenges for the area beyond creating gathering places, meeting seniors’ needs, and overseeing the ever-changing natural environment. They include affordable housing, adjacent timberlands, and strengthening Sea Ranch’s relationship to the small town just across the county line that provides most of the services and retail operations. There is a room for change here, but even with the input of leading thinkers, it won’t be dramatic. But as with the original place itself, a dash of youthful genius could move it forward for the next 50 years.